If you are planning your trip to Disney World for the first time then it can be very overwhelming for you unless you have someone to guide you. 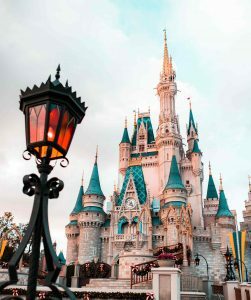 Though you can easily count down the rides, attractions, entertainment options and dining options in Disney World but how to the maximum out of your budget and vacation time can be the greatest challenge for you while planning your first tip. 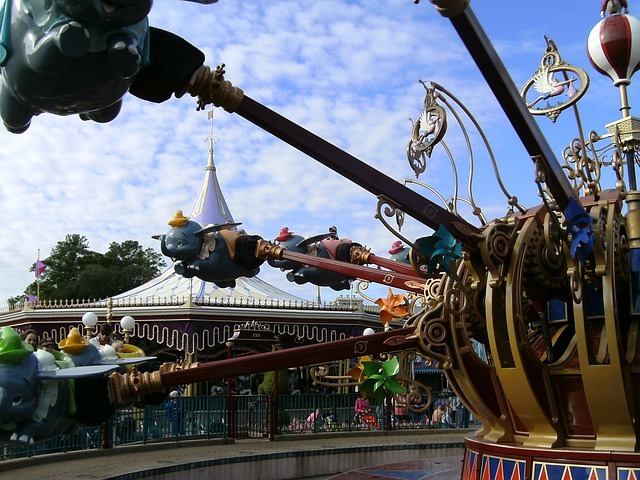 The Disney World tips for first timers provided in this write-up can be helpful for you. You can manage your first trip to Disney World more efficiently if you plan it a few months in advance. You can make your dining reservations in all the on-site restaurants and resorts of Walt Disney World in advance up to 180 days. Though you can visit Disney World for the first time throughout the year, you can plan your first trip better if you know in advance about the expected crowd and the suitable weather for it. It is going to be optimal if you plan the trip not during peak season. By planning your first trip to Disney world on a daily basis you can minimize the unnecessary pressure of crowds and maximize your enjoyment during vacations. You can consult the ‘crowd calendar’ of WDW to plan your vacation trip. It will help you in recognizing the best days on the basis of the crowd etc. When you plan one week trip to WDW then you will also have to decide about your accommodation to stay near it. A wide range of properties available near WDW can be from high value themed properties, certain resorts at moderate rates and budgetary rooms with all types of amenities in all price ranges. The size of WDW is roughly equal to San Francisco as it is spread on nearly 27 sq. miles. It has a number of things to do while visiting it like parks, water parks, shopping complexes and dining areas along with a number of places to enjoy recreational activities. You can find a large number of on-site restaurants in Disney World where you can dine with your favorite characters along with enjoying various other benefits. By booking your FastPasses you can ensure your entry to an attraction or ride within one hour with no or very little waiting time. By remaining flexible during your stay to visit Disney World for the first time you can maximize our entertainment more efficiently. Thus, the Disney World tips for first timers discussed above, in brief, can be helpful for you in planning your first vacation trip and knowing what to bring. Make sure to try and plan for when it’s not peak season, and make early restaurant reservations if you plan on eating in the park. If possible, try to plan ahead for what rides are a must for you as well. Disney is such a magical world, not even those who are fully grown up can resist its atmosphere or fail to want mementos from their magical trip. That means regardless of how much control you exert over your budget, you’re bound to find something that stretches you just a bit. It’s even worse if you’re not a very decisive person – you just may end up going home with a life sized Mickey Mouse’s. To prevent that from happening, be sure to check over this list of the best Disney World souvenirs for adults to know exactly what to buy. Getting a pair of Mickey ears is a staple whenever you visit any of the Disney themed parks. These comes in a variety of shapes, colors, and sizes. Occasionally, you can find some limited edition ears that you can keep as a collector’s item. If you’re not looking to get yourself or others something typical such as a plush or a key chain, My VIP Tour states that you can send them some special mail instead. The United States Postal Service (USPS) retrieves all of the mail from all the active mail boxes on Main Street and delivers them to their addresses. This is a great way to remember your trip to Disney since it’ll be sealed with a special Disney stamp. Got some pennies lying around in your purse or pocket? You can get these pennies pressed with all of your favorite Disney characters. These booths can be found scattered all around the park. These might even be the cheapest souvenirs you can get too. If you’re a Muppet fan, you’ll be happy to know you can get them in hat form. They won’t only allow you to delve back into your childhood, but they can also keep your head warm if you’re visiting the park in the winter. Disney World is the prime spot to find all of your favorite characters in plushie form. Everything from Baby Jumbo to the Beast are available. Some of these plushes are exclusive only to certain Disney parks, so you won’t even find them in Disney stores. This is a souvenir that is completely free. All you have to do is get your free set of cards and a map at the fire station on Main Street, and start solving puzzles. You can get a free set of cards every day and ultimately end up with an album collection of your Sorcerers Spell Cards. These were only a few of the best Disney World souvenirs for adults that you can find at Disney. Have fun!